There was a space in time when I gave up cheese. I willfully practiced this horrible deprivation for nearly two months. I gave up wine for almost as long. Then I realized that life was too painful and boring without real cheese and great wine. I lifted my self-imposed ban. 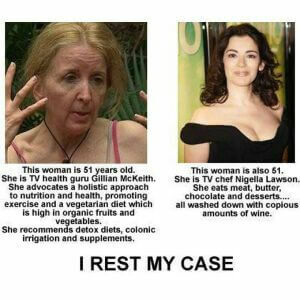 After all Nigella Lawson looks fabulous and she lives on a diet of cheese, wine, meat, and chocolate. I don’t want to look like that other lady. Do you? A little over two years ago I was traipsing around a delightful French village….er, correction a lovely mock-French village outside of Raleigh, North Carolina with my sister. We spent the day wine tasting, inhaling crepes, people watching, drinking more wine, and then finally remembered that eight people were coming over for dinner later that evening. We decided to brave the aisles of Trader Joe’s. “Do you want a million dollars?” I answered. What dinner party would be complete without a cheese course? Not ours. By now you know I’m not going to trot out a sad sack of Cheddar or some weird cheese ball with nuts. I mean really? Suddenly fate heard our musings. My sister pointed across the parking lot and there was a fabulous cheese shop, just waiting for us. This wasn’t any ordinary cheese shop Orrman’s Cheese Shop in Raleigh is straight out of Montreal or Paris. The charming southern couple who owned it treated us like the royalty we delusionally imagine we are. I asked the cheese monger for something like Brie but better. I wanted oozing, pungent, rich, and delicious. Yes, I know I’m as simple as they get. He stared thoughtfully at me for a moment and then said, “Come with me.” Yes, a man that takes charge. I like it. I looked at a small wheel of Brillat Savarin cheese that was strangely similar to Brie, except taller. The rind on it was reminiscient of fondant icing gone wrong. It reminded me of the eternal bride Miss Havisham from Great Expectations in her tattered wedding dress and the solid white wheel of cheese was the decrepit wedding cake. Like her, I feel as if I’m always waiting for my next great cheese. “This is Brillat Savarin,” he pointed. He cut into the Brillat Savarin cheese and removed a small oozing wedge of cheese languishing on its stainless pedestal. He placed it on parchment and gave it to me to taste. If you eat this cheese, then I’ll tell you, you are the smartest person in the room. 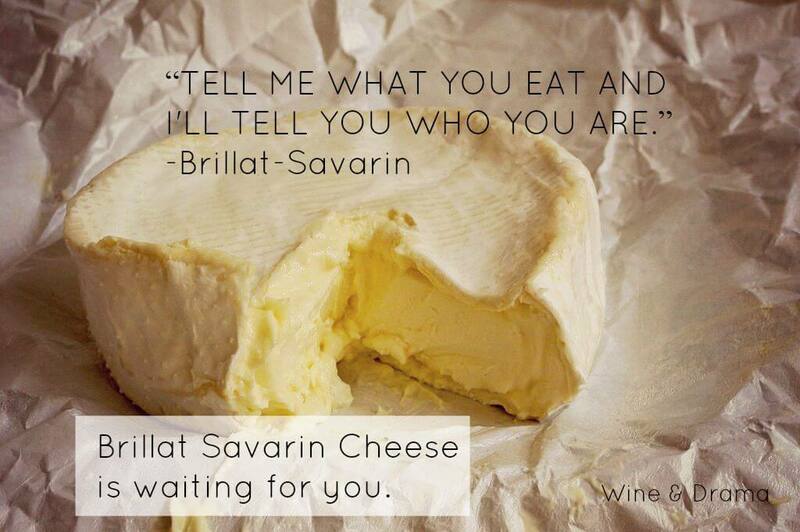 How Does Brillat Savarin Cheese Taste? It’s creamy with undertones of chanterelle mushrooms, lemon, minerals and chalk. There’s barely any ammonia smell that you sometimes get with other bloomy cheeses. Brillat Savarin is made in the Ile de France area and was first created in the 1930’s by Henri Androuët. It is a triple creme cave ripened cheese. It’s full on butterfat at a delicious whopping 75%. Once you taste its bloomy white rind that’s like a frosting made of umami, you will be hooked. I savored my sample, like a junky going back for more…I asked him for another “taste,” he looked at me and barely nodded. He smiled. Evil genius, shame on him. I had to have half a pound of that divine cheese. Suddenly cheese was too simple of a word for it. 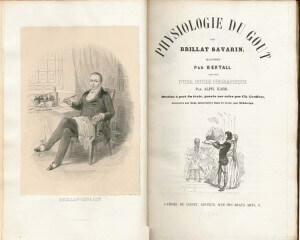 Brillat-Savarin wrote the book on taste. Fun fact: Did you know…Brillat-Savarin is often considered as the father of low-carbohydrate diet? He thought sugar and white flour to be the cause of obesity and he suggested instead protein-rich ingredients. I’ll get onboard that train any day. After dinner we decided to serve cheese and champagne for dessert (like the French) and if anyone actually pitched a fit there were always triple fudge brownies for the traditionalists. First off, don’t get cray. This is not the time to try six different cheeses. Keep it simple Simon. When you serve cheese after dinner it mixes up your guests expectations. Suddenly everyone is a little suprised, intrigued, and ready to get the party ramped up. I usually serve cheese for dessert with bubbles. Cheese + Champagne or sparkling wine = A party in your mouth. What sparkling wines go best with cheese? I recommend my favorite Cupcake Prosecco (around $10 a bottle) or if you want a splurge Piper-Heidsieck Cuvée Brut non-vintage Champagne ($40 a bottle) is a treat. Cupcake Prosecco is made from Italian Glega grapes. It blends citrus, apple, and melon undertones with a bready finish, perfect for Brillat Savarin. From the Grandeet Petite Montagne de Reims region in Champagne, France comes my special indulgence Piper-Heidsieck. Made from Pinot Noir grapes it’s a composed bubbly with notes of pear, grapefruit, on the finish is a touch of warm candied ginger spice with a luxurious edge. Both bubbly’s are crisp enough to cut through the creamy fat of your cheeses and sparkling wine is always a fantastic way to end any evening. 1) Make sure you choose what you like and mix it up. There aren’t any hard and fast rules. Keep it to three cheeses maximum. Always taste your cheeses your serving. Pretend you’re Alex Trebeck and your cheese monger is on Jeopardy – don’t be afraid to ask alot of questions. Choose cheeses that range in flavor from mild to intense and have different textures from runny to hard. Brillat-Savarin (cow) – Ile de France (obviously). Manchego (sheep) – Manchego, Spain, the texture has butterscotch notes, a little grainy and creamy, with an almond finish. Humboldt Fog (goat) – California, USA, Goat’s cheese can be controversial. This cheese is clean, milky, and delicious. Plus the line of vegetable ash running through it adds intensity. Dolcelatte blue cheese (cow) from Lombardi, Italy is a sweet almost candy like blue cheese that has soft pepper finish. Roquefort (sheep) from Les Causses; France, the granddaddy and king of all the cheeses. Legend has it Charlemagne feasted on this ancient delight. The strong salty, sharp, moldy, which melts into sweet slick goodness on your tongue once you taste it you’ll be hooked. 2) Make sure your cheeses are served at room tempertaure, since cold subdues the flavor profile. Arrange your cheeses in a circle from mild to pungent. You can prepare your cheese course in advance and wrap it with a loose cotton cloth or parchment paper. Take your course out of the fridge at least an hour before serving. Write down the names and where each cheese is from for your guests. 3) No crackers. Are you serving toddlers? Always serve your cheese course with a good loaf of crusty baguette, sourdough, or boule. If you want to serve your cheese course with accompaniments, limit it to fresh honey, nuts, olives, or fruits. Walnuts, pistachios, green, French or Kalmata olives, apples, dried cherries, or pears are perfect supporting cast members for your star performers. Don’t worry about special knives, just serve the cheeses on a surface that you don’t mind your guests cutting on. And always buy extra Brillat Savarin for yourself. The hostess must have a special after party treat. You’re going to love this cheese. If Brie grew up and became a queen she would be Brillat Savarin. All hail Brillat! We’re two North Carolinians in the UK who are preparing the menu for a dinner party. Thank you for the suggestions–and the delightful story!! Okay, I was on the fence about Brillat-Savarin when I saw it in the grocery – there were no free tastes. Your post convinced me to buy it “blind” – and boy I was not disappointed! Totally agree – it is the baddest mother of cheeses – thanks for sharing!! You’re welcome! I dream about that cheese.